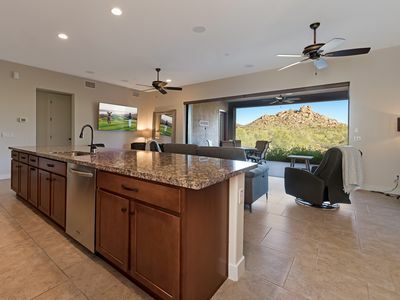 Your dreamy desert getaway begins at this Scottsdale vacation rental nestled in the McDowell Mountain Range in a gated community. 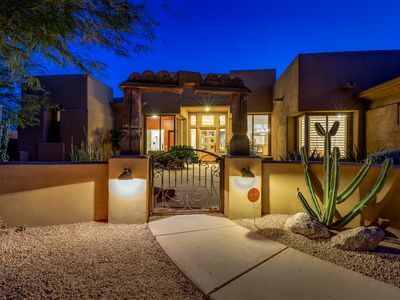 This 4-bedroom, 3-bath home accommodates 8 guests and boasts 3,230 square feet of tastefully ornamented living space with a private outdoor oasis adorned with a pool, spa, and colorful desert flora. 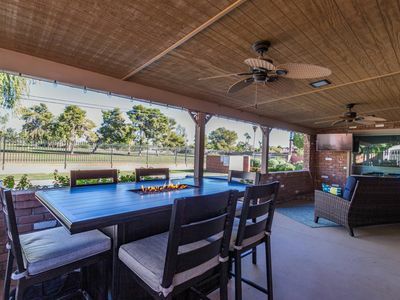 When you're not lounging poolside, explore Scottsdale and Phoenix, hit the links at one of the nearby golf courses, or hike around Pinnacle Peak just minutes away! 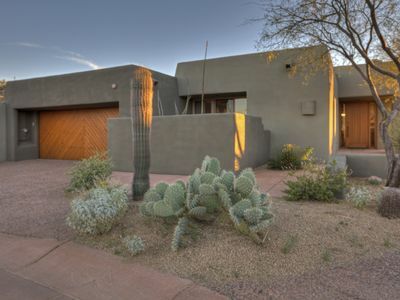 After a day exploring the Scottsdale area, let this secluded mountain manor serve as your home -base for all of your Scottsdale adventures! 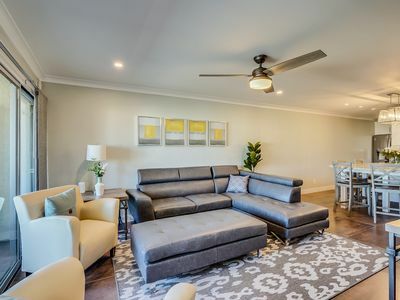 Kick back and relax in the open and airy living space adorned with expansive picture windows, a wood-burning fireplace, Aztec motifs, and a flat-screen cable Smart TV. 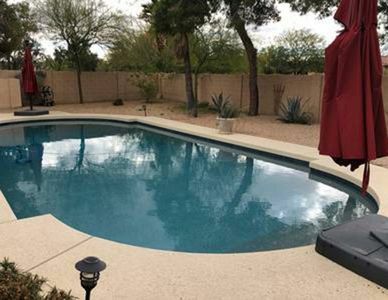 Your favorite space will quickly become your private poolside oasis with a heated outdoor pool, Jacuzzi, patio furniture, a wood-burning fire-pit, gas grill, desert flora and mountain views. 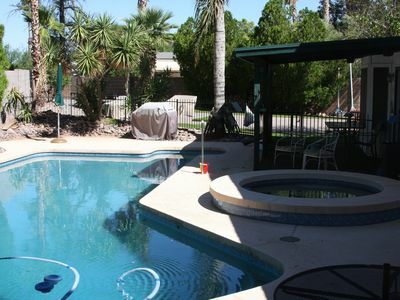 Escape the desert heat and whip up home-cooked cuisine in the fully equipped kitchen. 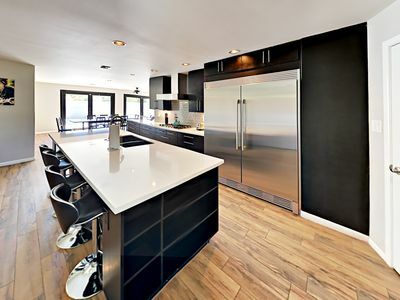 With ample counter space and modern appliances, meal preparation will be a breeze! 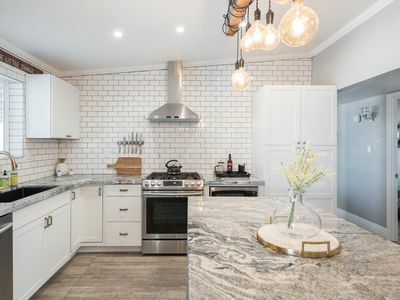 After long, adventure-filled days, retire to one of the 4 bedrooms boasting fashionable decor, plush beds, and sweeping views of the golf course and mountains. 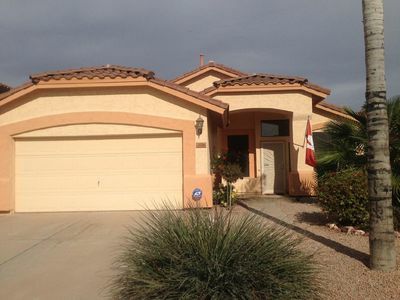 This home is perched on the edge of the Monument Golf Course! 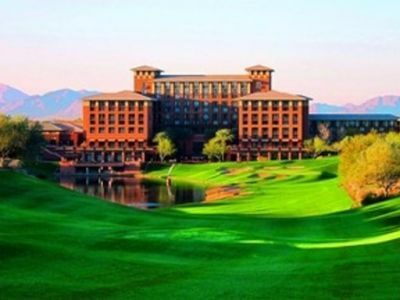 Enjoy fun-filled days on this beautifully manicured course just steps from your backyard. McDowell Mountain Regional Park is just 17 miles away for hiking, mountain biking, and horseback riding through the inspiring desert scenery. 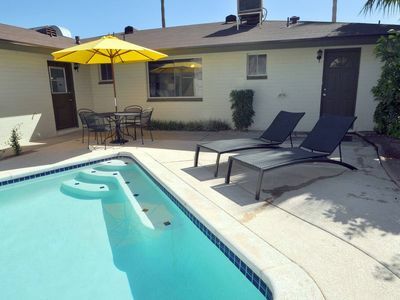 The vibrant desert metropolis of Phoenix is just 34 miles away! Visit the Desert Botanical Garden, stop by one of the music venues for live entertainment, or dine at one of the cities best restaurants! 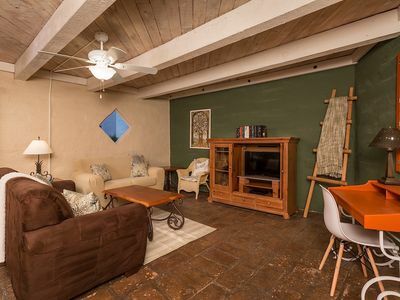 Travel back in time and visit Old Town Scottsdale just 23 miles down the road. Hitch a ride with one of the horse-drawn buggies that parades you through the wild-west themed town that boasts a museum, shops with Indian artifacts, galleries, and cowboys. 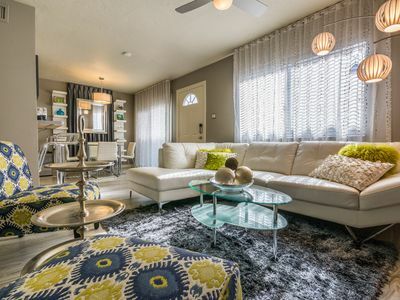 - Amenities include a fully equipped kitchen, free WiFi, 4 flat-screen cable TVs, wood-burning stove, in-unit washer and dryer, gas grill, wood-burning fire pit, outdoor pool, hot tub, patio furniture, security system, and much more! 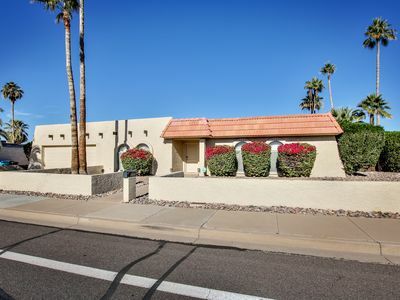 - Prime Scottsdale location on Monument Golf Course - Just 17 miles away from Mcdowell Mountain Regional Park, 34 miles from Phoenix, and 23 miles from Old Town Scottsdale! 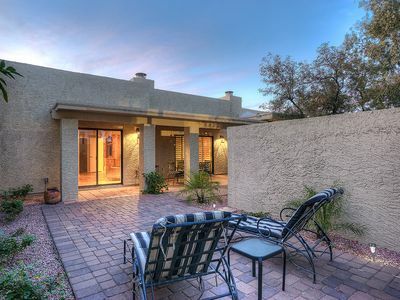 FANTASTIC MESA HOME NOW WITH A HEATED POOL . Southwest refuge, north Scottsdale. Great golfers getaway home! 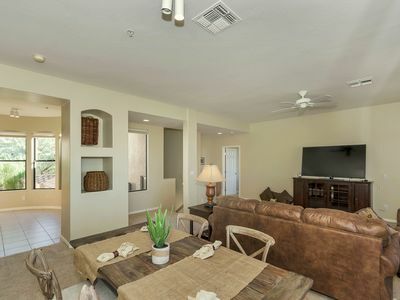 Scottsdale Maya Penthouse Condo- Heated Pool, Short Walk to Upscale Dining, Shopping, Clubs & Bars!